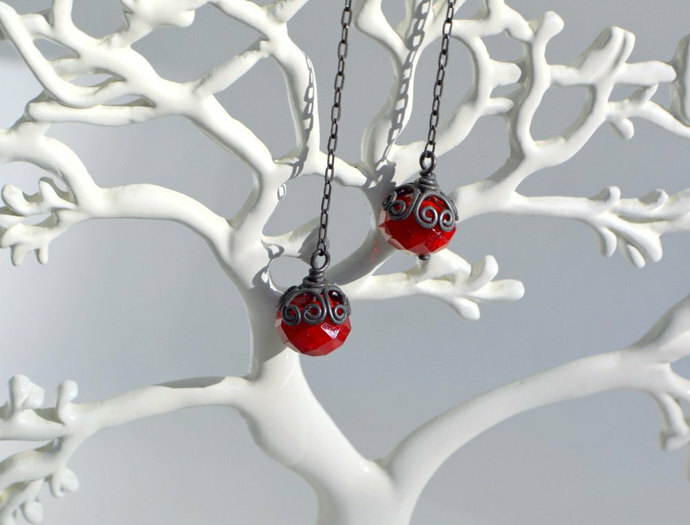 Red and oxidized sterling silver long earrings. Amazing, dramatic and elegant, these are earrings you won't be able to resist wearing all the time! These crystals are 12 mm round, capped with a swirled silver bead cap. Constructed from sterling silver, these earrings are understated yet elegant. They are 2.5 inches long from the bottom of the ear wire.